The World Electronic Sports Games (WESG) returns for its 3rd edition with the 2018/2019 tournament. Once again Mettlestate will host the WESG South Africa qualifiers. One spot is available for the best team in Dota 2, Counter-Strike: Global Offensive and a single player each for Hearthstone and Starcraft 2 at the finals in China are available. There is also a total of $5,000 for the four winners of the qualifiers. 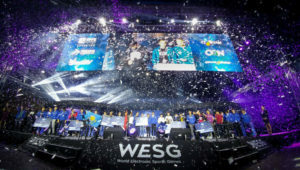 Created in 2016 the World Electronic Sports Games (WESG) is an annual esports event organized by Alisport, a subsidiary of Alibaba (the Chinese multinational conglomerate). The event has a huge level of funding behind it, with $5.5 million dollars in prize pool already awarded over the two previous iterations. The event includes teams from all over the world. It specifically aims at being something of an Olympic Games of esports, by including multiple esports in one event and requiring teams to be made up of players from a single country. WESG is one of the few tournaments that include qualifiers for African teams and players. In this respect the tournament presents a rare opportunity for our local players to go overseas and make a name for themselves. WESG currently exists in an odd place in the greater esports landscape. While it has some of the highest prize pools of any event in esports, it is often regarded as a secondary or even tertiary event in CS:GO and Dota 2 especially. It also rarely attracts all the top teams and players. The notable restriction of all players needing to be from a single country often removes many of the more cosmopolitan teams present in CS:GO and Dota 2 from the possible attendees list. Image courtesy of DBL Tap. In addition, a complicated tournament structure and lackluster reputation for tournament quality likewise discourages top tier teams from entering. Still, as mentioned, South Africans are afforded a rare opportunity to travel internationally and perhaps make a name for themselves there. The prize money on offer is nothing to scoff at either. There has been some improvement in the organisation of the tournament, so everyone involved in the qualifiers will be aching to win and book a spot in China in early 2019. It must be said that WESG has come at an odd time for South African esports. With the recent ESWC revelations and the annual IeSF outcry in recent weeks, South African esports in general is in need of a shot in the arm. The WESG qualifiers provide a welcome opportunity to see the best in South Africa back in action. Additionally, the tournament will provide the teams in Dota 2 and CS:GO, many of which have experienced major shuffles, an early chance to test out the viability of their lineups. Notably it will also be the first tournament on home soil for Bravado Gaming’s CS:GO team in more than 10 months since they left for the USA. At the end of the day, WESG provides another opportunity for South African teams and players and the esports scene in general to showcase their abilities and fight it out to be crowned the official representatives of their country at an overseas event. Shaun began his esports life as a Dota plebeian and its been all downhill from there. 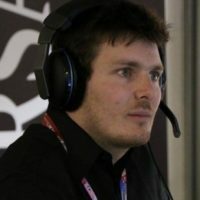 He can often be found adding his voice to broadcasts in CS:GO these days as an analyst and caster.